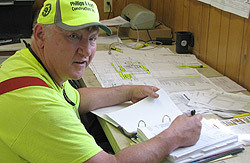 Phillips & Koch Construction believes in delivering top quality, safe well-managed projects on time and within budget. This combination of involved management and skilled journeyman craftsmen allows us to take on all of the needs and challenges of our customers and deliver to them a world-class product safely at very competitive prices. We provide safe, quality construction to the industrial sector. 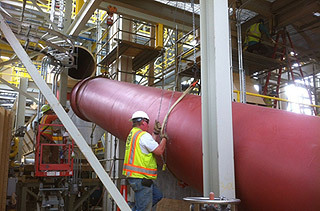 We strive to continuously install conveyors systems and heavy equipment, on time and at a competitive price! Our Core Values are the foundation of who we are and what we stand for as a company. They drive our business decisions and are key to our success. Our team of highly experienced personnel will come to your facility with an exceptional focus on safety, precision and performance. As specialists in the installation of mechanical and piping equipment, we have the capability of providing you with all the craftsmen required for the successful completion of each phase of your project. The backbone of our company is the many years of combined experience by the three owners in the material handling installation industry. They are actively involved in the daily operations of every project. Our dedication to service, going above and beyond expectations to meet your needs! We feel the best reference you can have is a Satisfied Customer. We earn our customers long-term loyalty and commitment by implementing and supporting to complete satisfaction all projects. Our expertise and innovative skills in all phases of installation, maintenance and service allows us to fulfill our commitments to our customers, which is why some of our customers have been with us for over 35 years. Our ability to meet project completion dates on or before the scheduled deadline is just one of the reasons 90% of our sales come from repeat or referred customers.